Social media plays an important role in this web world. The basic concept behind to start social media was to reconnect the people with each other over the internet. Whereas in the present scenario social media means much more than connecting people. These days’ social media have become a good platform for marketing. In recent few years, there is a tremendous increase in the number of web users which resulted social media as a powerful tool of marketing. Today, many of the business owners opted online marketing strategy to promote their products and services and uses social media as a great platform for advertisement. The incorporation of social media in the businesses resulted into increase web traffic for your web page. Many of the business owners figured out that social media advertising has a positive impact overall on the growth of business. 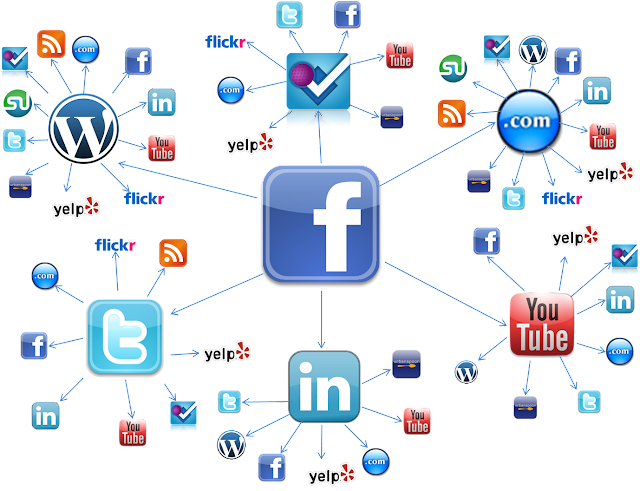 Social media bridges the gap between traditional methods of marketing with today’s technology. However, social media works well when combined with traditional ones. Branding is one of the primary benefits of social media. Here it is not what a brand means to organization, but actually what it means to prospective client base. There is no meaning of branding if your prospective customers don’t have any point of view. Advertising is greatly influenced by social media. Social media marketing is one of the easiest, inexpensive and an effective way for expansion of business. Thus, marketers use both traditional ways and internet to reach out potential customer database. There is a rapid increase in the number of people using online social communities and more and more people are getting involved with social media to grow their business at a rapid pace. Social media is time consuming but affordable. It permits you to learn much more from web audience. It provides clients a platform to conduct research and survey which is quite inexpensive and they get instant feedback for their products and services. Thus social media offers a great platform for advertising which is affordable, timely and easy to measure than traditional media. Social media acts as hub for all your marketing and advertising activities. Both direct and indirect marketing is possible through social media. You can engage web audience and know what messages are appealing and can quickly act upon it. Social media is not only important for the organization brand or for your valuable clients. It’s equally vital for an agency brand. It is one of the best and powerful tools that had been ever used for helping agencies branding. To be successful with social media advertising agency brands will have to focus and need to declare who they are and how they are unique from others. Social media has proven itself to be a greatest tool you will ever come across either you’re a new business perspective or an existing small to mid size agencies. However, the positive impact of social media advertising is uncountable, but there are a few negative impacts too. Security issue was always a area of concern when advertising through social media. You need to share all your personal and valuable data publicly which is a major drawback of social media advertising. Sometimes sharing of data publicly results in hacking of data and other web related issues. Matthew Anton is an experienced SEO expert who also specializes in various studies related to the social media and the usefulness of Twitter backlink in seo.